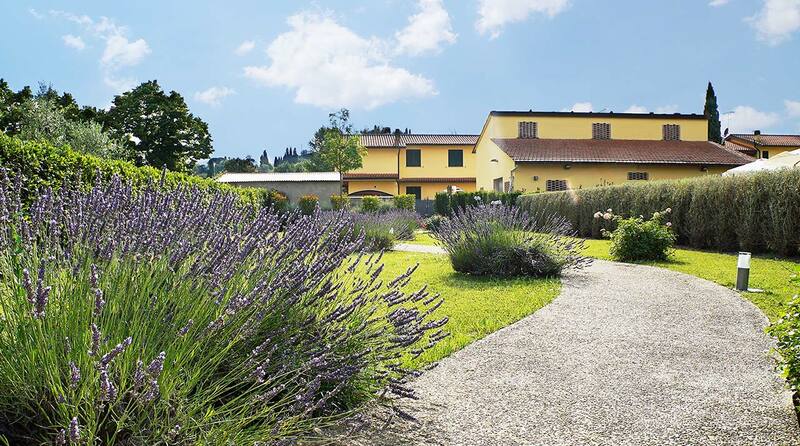 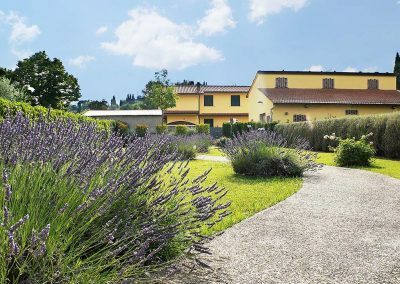 Borgo Piccaratico Farmhouse is nestled among the Vinci countrysides, an ideal place for a relaxing holiday in a Tuscan landscape rich in vineyards and olive groves just 10 minutes from the center of Empoli, a few kilometers from Florence. 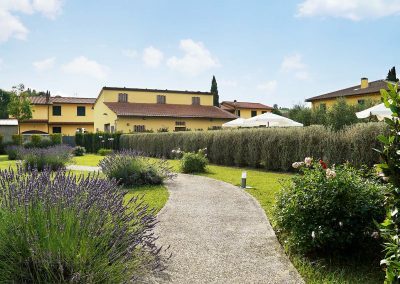 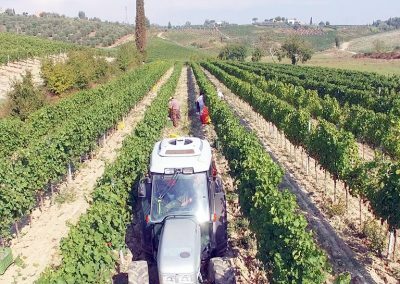 The complex was born from the restoration of the old wine cellars of the farm Fattoria Piccaratico that belongs to the Rossini family for eight generations. 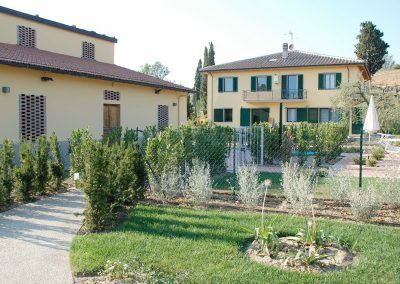 In the recovery of the structure, much attention has been devoted to protecting the environment by focusing energy self-sufficiency both through the thermal insulation of the building that thanks to photovoltaic systems for the production of electrical energy, the solar heat for the production of hot water and systems for the recovery of rainwater and waste water of the irrigation system. 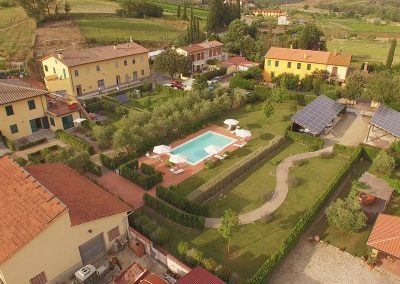 The farmhouse Piccaratico is composed of two apartments and three studio apartments of 40 square meters, each with private entrance and exclusive outdoor space, arranged to accommodate up to four people each: two in the double room and two in the sofa bed in the living room. 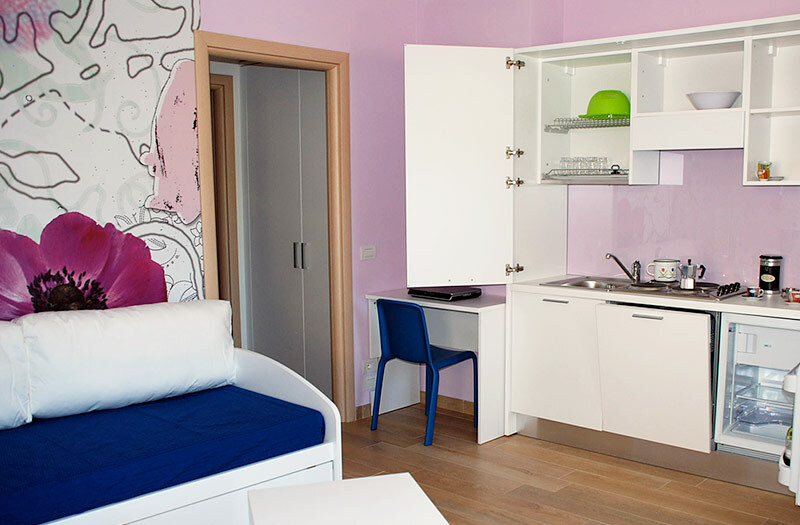 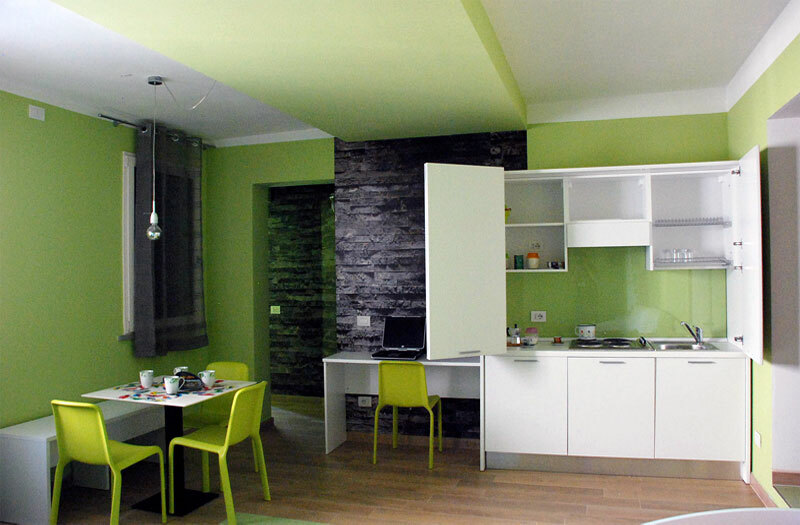 All apartments are equipped with every comfort: dishwasher, refrigerator, free WIFI, heating and air conditioning. 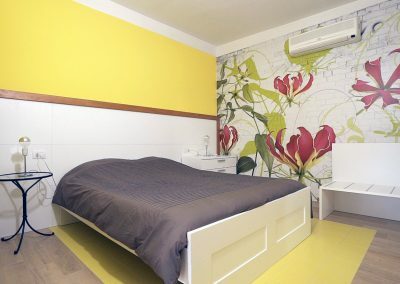 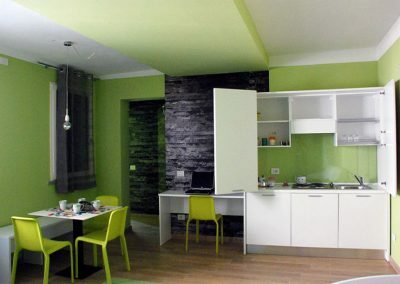 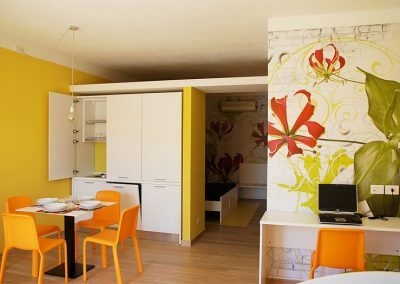 Each apartment features a different dominant color scheme (purple, red, anthracite, yellow and pistachio) that gives the ensemble a pleasant and cheerful tone. 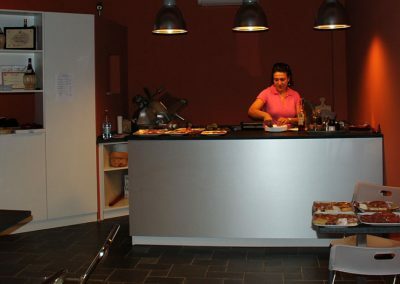 Guests also have access to a large common living space with WIFI and LCD TV 40 “, to meet and get together, to organize tastings and small meetings. 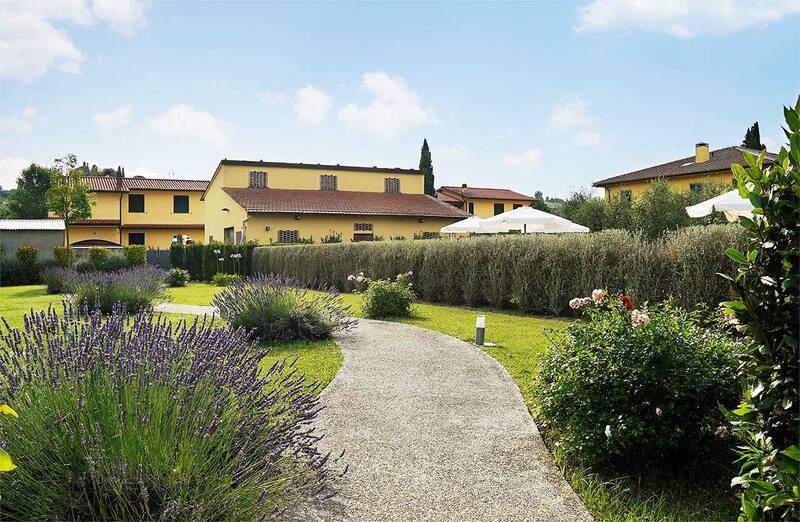 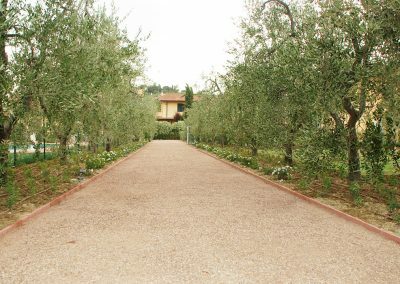 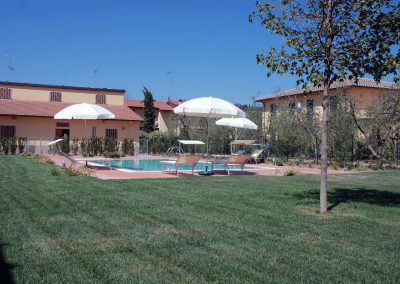 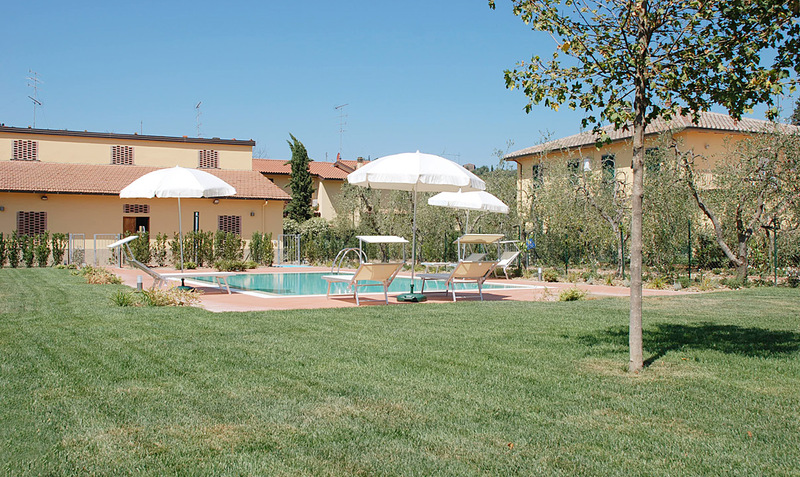 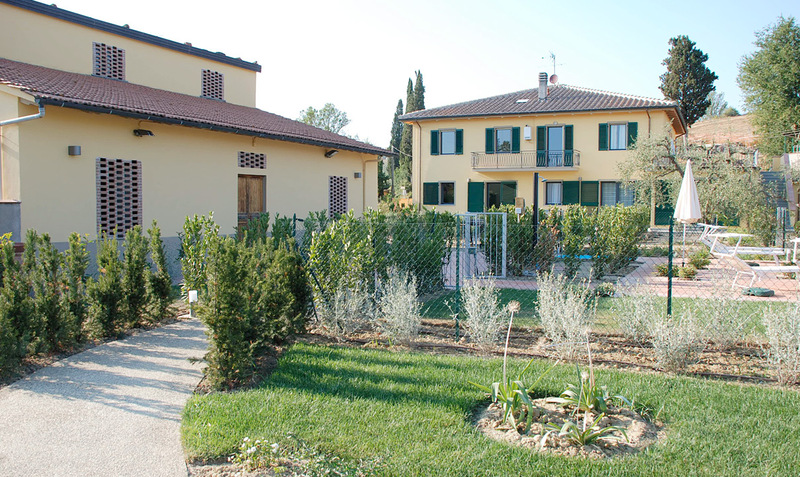 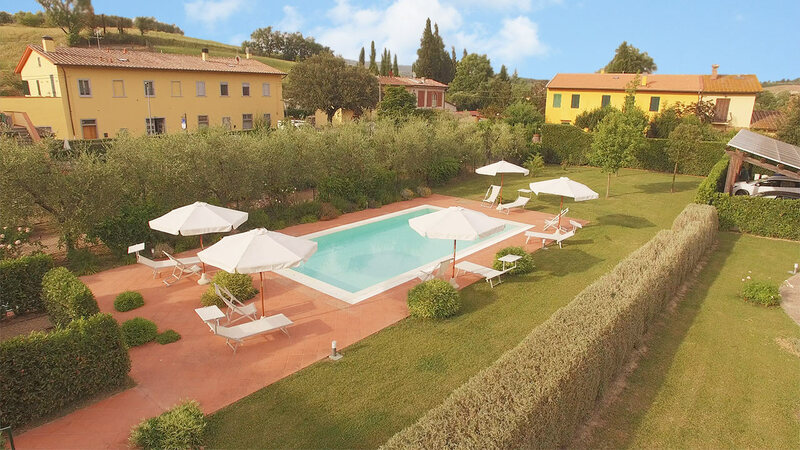 The farmhouse has a large park with swimming pool surrounded by Tuscan terracotta flooring and equipped with sun beds and umbrellas, barbecue area with tables and chairs, orchard, kitchen garden, car/motorcycle reserved covered and fenced parking. 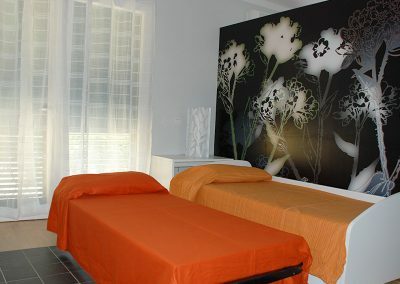 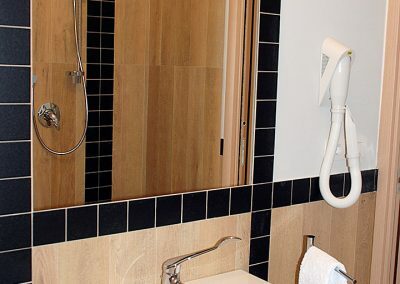 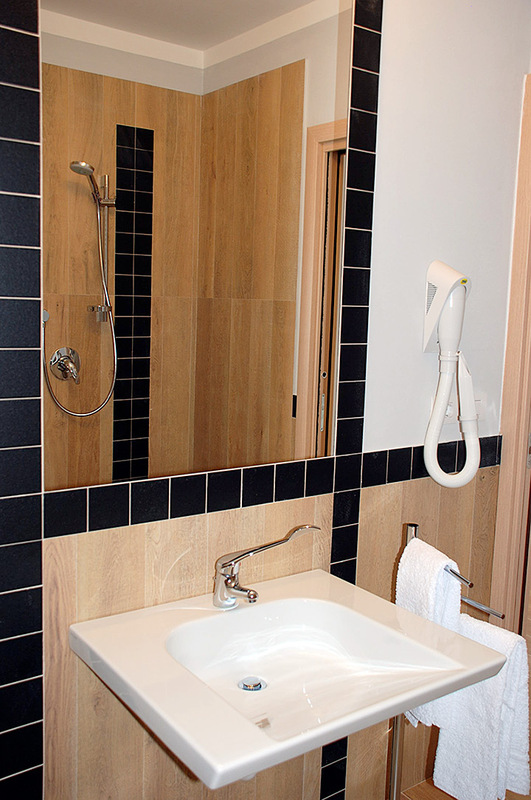 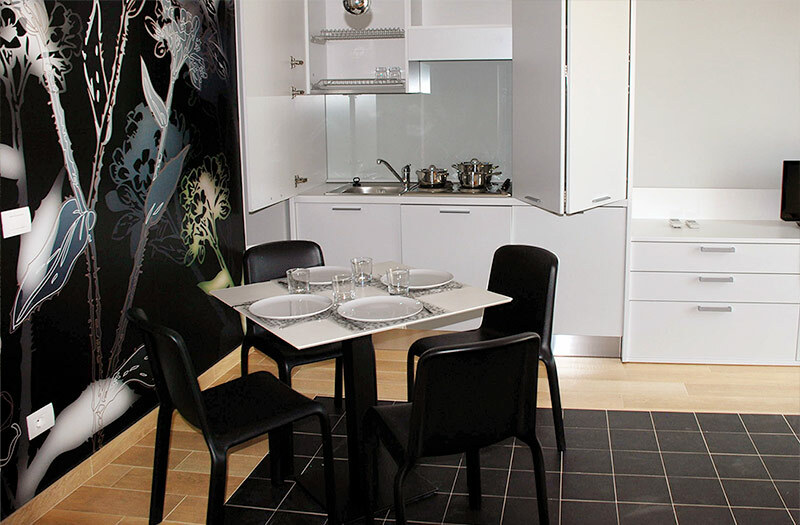 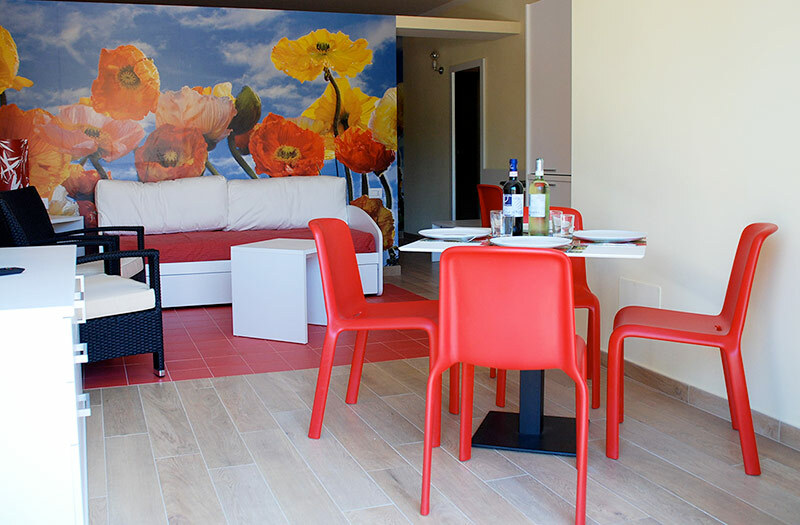 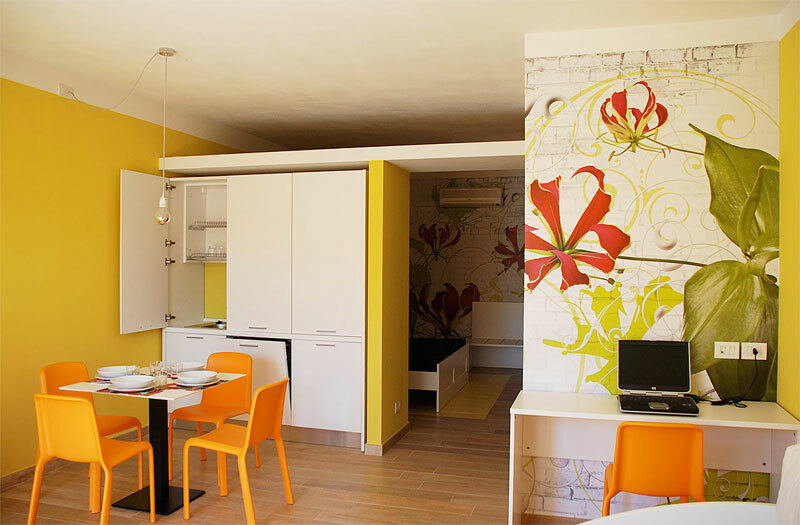 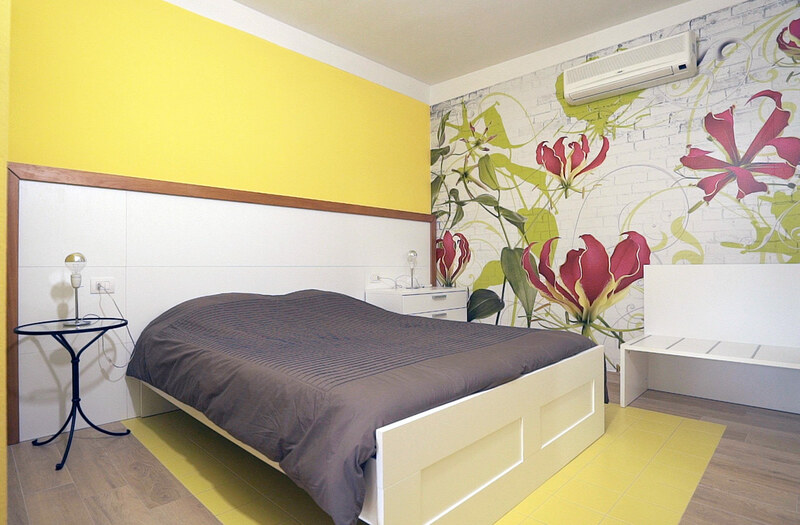 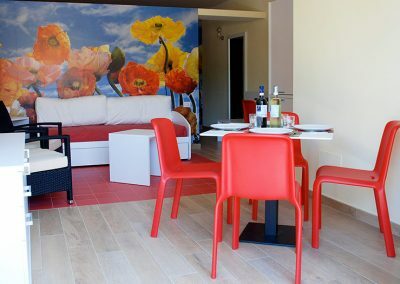 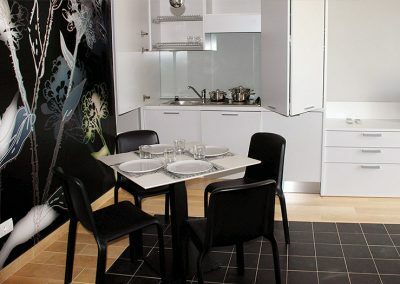 The Vinsantaia apartment is equipped to facilitate holiday for disabled people thanks to interior equipment, direct access to the pool and reserved parking. 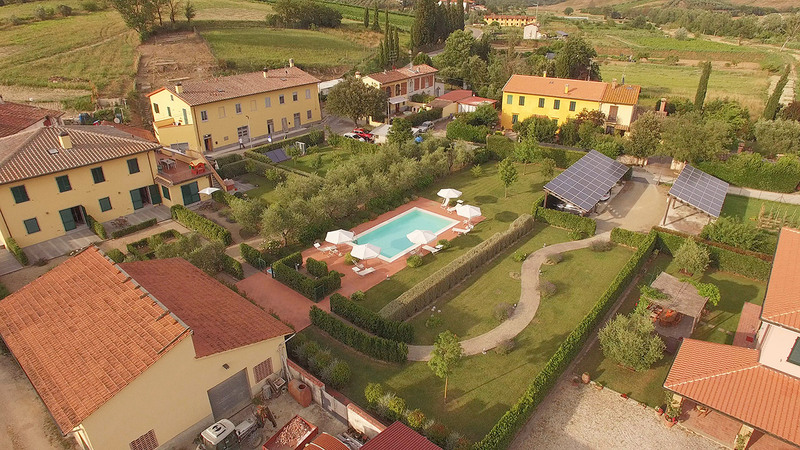 Farmhouse Borgo Piccaratico is in a strategic position, between the low Valdelsa Valley and the Chianti area, just minutes from major transportation routes: the Florence-Pisa-Livorno highway and the A1 and A11, to allow you to reach in quickly the main Tuscan cities like Florence, Pisa, Volterra, San Gimignano, Lucca and the sea in the area of Livorno and Viareggio. 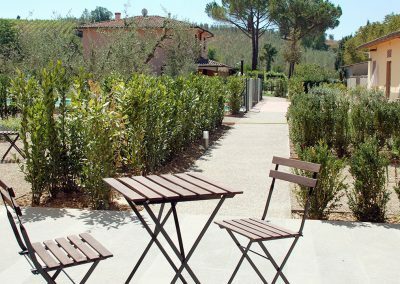 Bologna can be reached in just over an hour by car and 45 minutes by train from Florence’s Santa Maria Novella station. 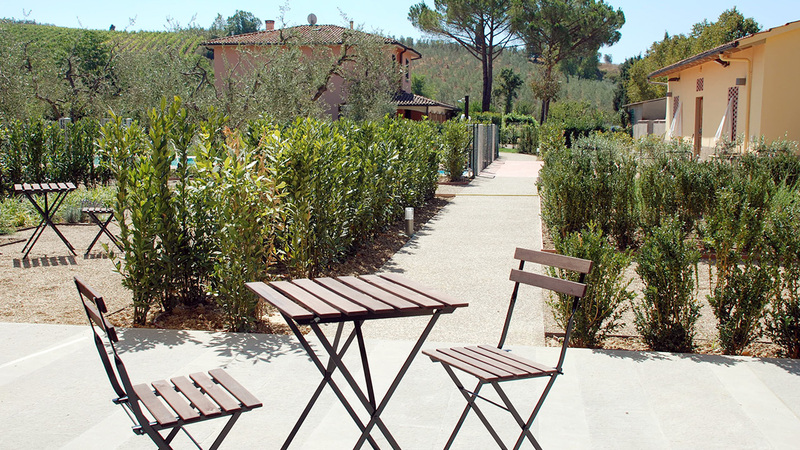 Thanks to Empoli train station you can visit Florence, Livorno and Siena in a short time and without using car. 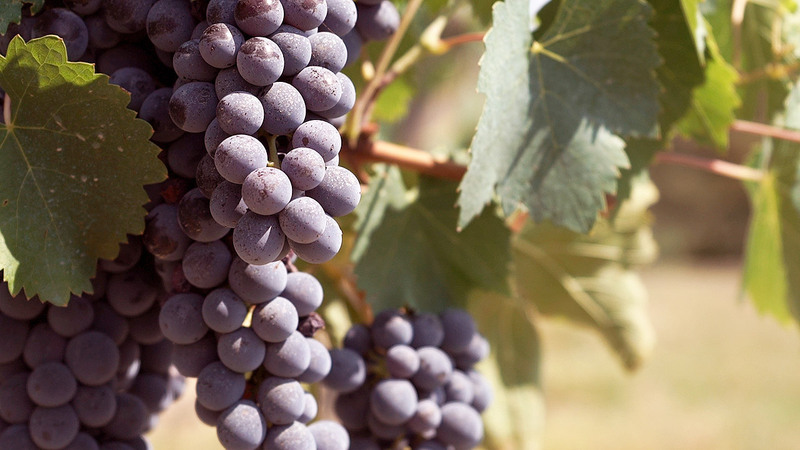 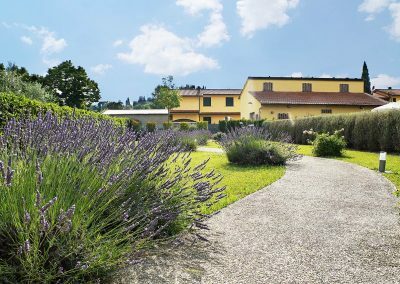 Valdelsa and Chianti offer many ideas for tourist itineraries rich in history, traditions and ways of taste: the Via Francigena, the historic place of pilgrimage, or opportunities to taste the types of Chianti wine: from the Pisan Hills Chianti, Chianti Montespertoli, the Chianti Colli Fiorentini and Colli Senesi to the heart of the Chianti Classico Poggibonsi, Greve, Panzano, Radda, Gaiole and Castellina in Chianti. 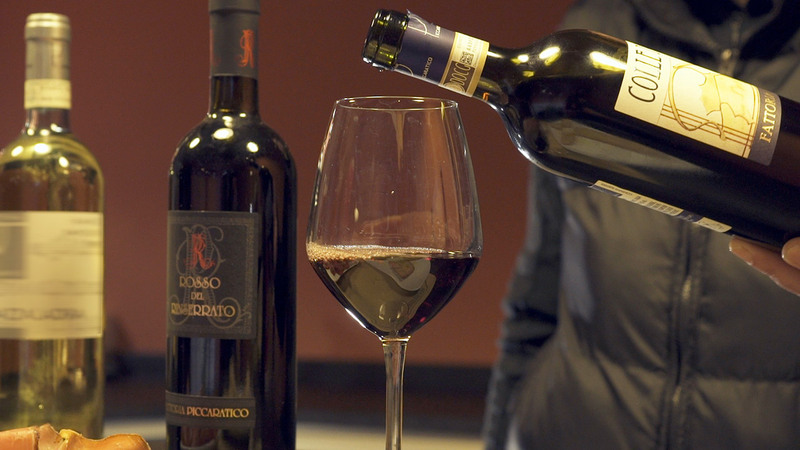 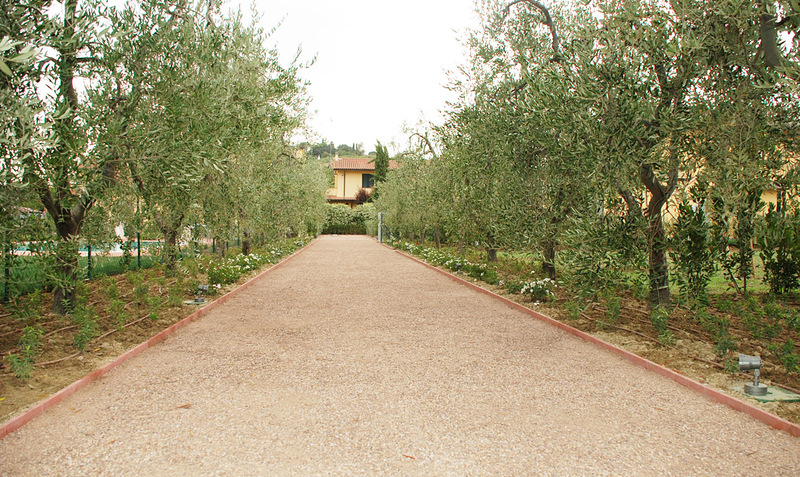 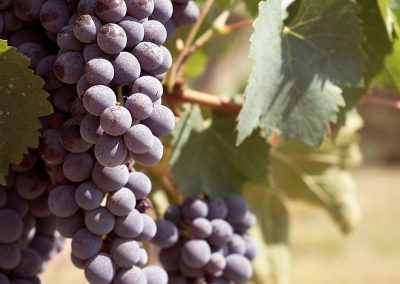 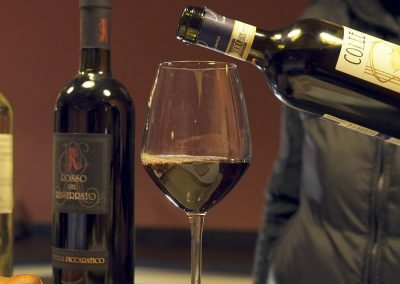 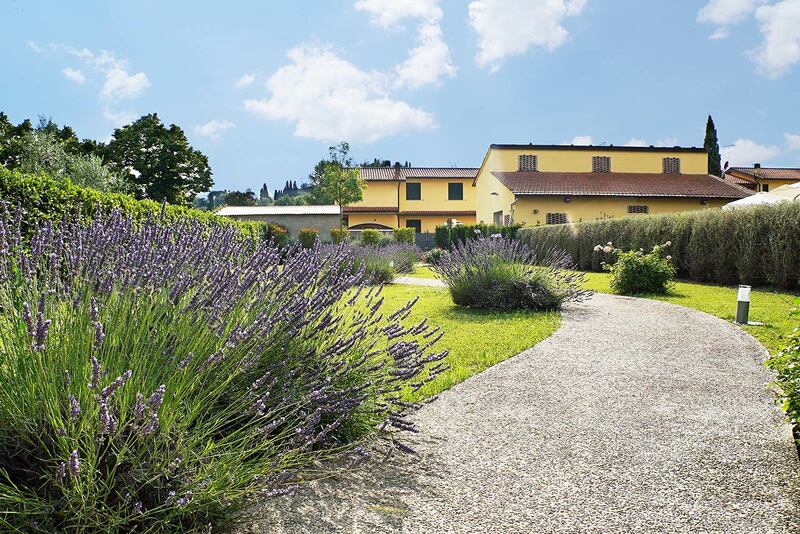 Directly in farmhouse organizes tastings of wine and oil products by the Piccaratico farm, such as Chianti, the red and white IGT Toscana, grappa and vin santo, and extra virgin olive oil.